In an engaging, reader-friendly style, the book explores both socio-demographic and political economic aspects of rural transformation through an accessible and up-to-date blend of theory and empirical analysis, with each chapter’s discussion grounded in real-life case-study materials. 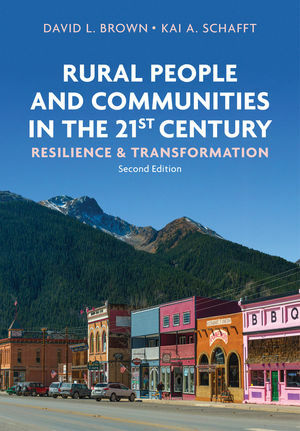 The new edition has been completely revised throughout, with new data and literature, and carefully updated to address emerging issues of direct relevance to rural people and places, including a whole new chapter on rural politics. “The 2016 U.S. presidential election made it obvious that the experience of people in rural areas matters for the political, social, and economic wellbeing of the nation. For anyone wanting to get up to speed on the nature of life in rural places, this book is a goldmine."